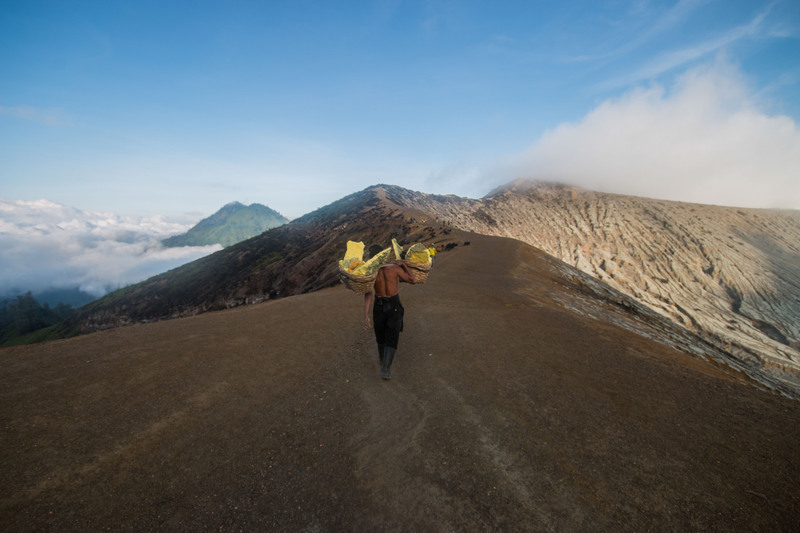 As you descend precariously into the crater of Kawah Ijen on Java, men laden with bright yellow slabs of sulfur labor in the opposite direction, their ‘harvest’ distributed evenly between two wicker baskets fastened to the end of a bamboo pole. 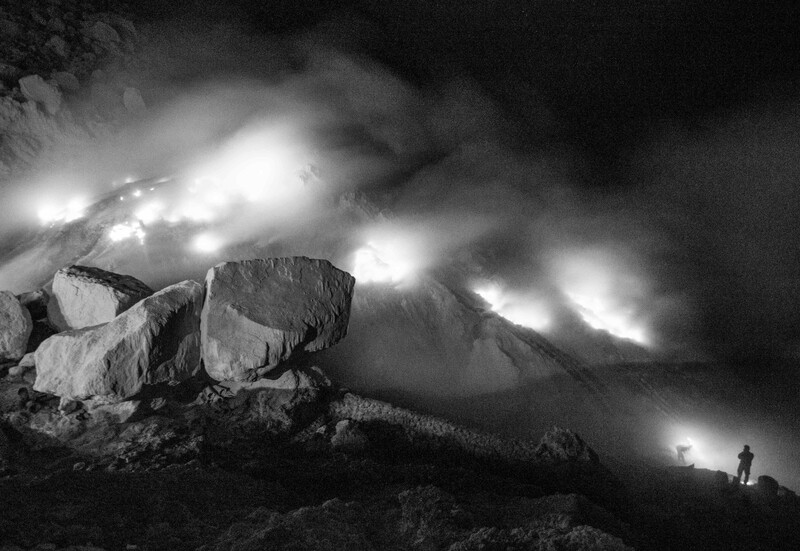 Picking your way down in the dark, a head torch your only light, blue flames appear below with billowing clouds of smoke circling above – the ‘Blue Lights’ of burning sulfur. 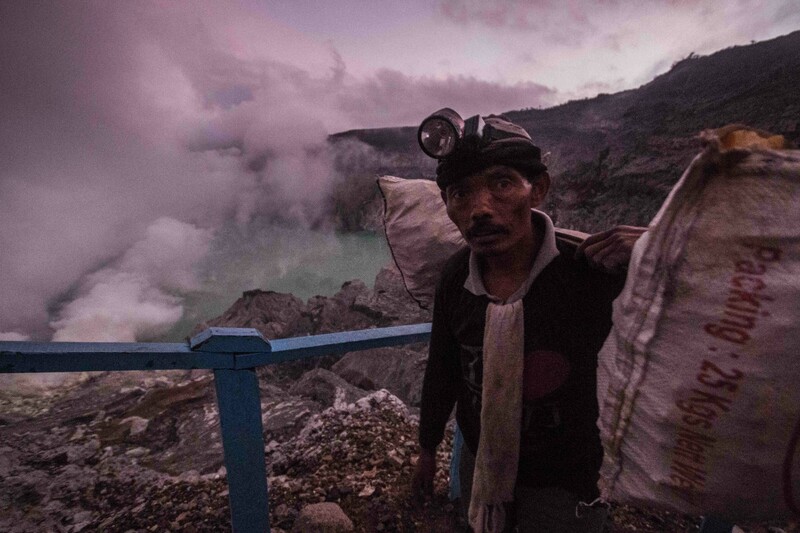 It is a surreal sight, the earth emitting blue flames while men appear and disappear silently in smoke clouds, collecting the sulfur amongst fumes that sting the eyes and burn the lungs. 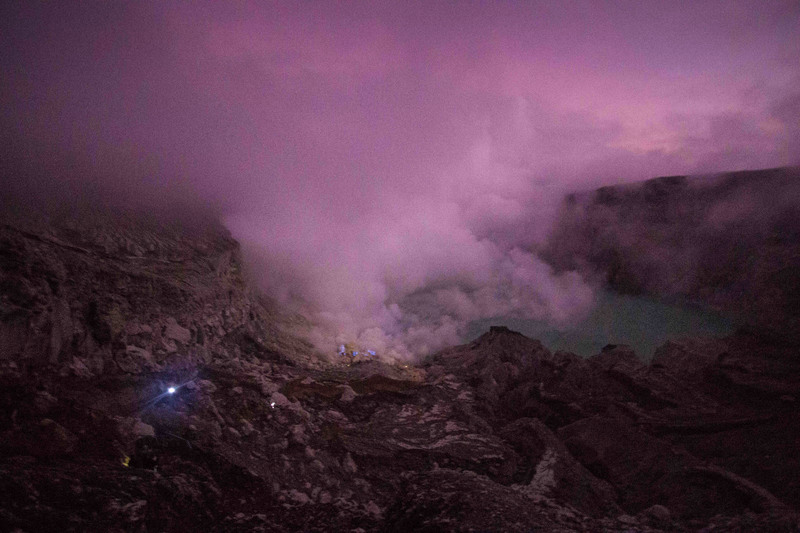 As I ascend the crater wall, dawn begins to break, turning the smoke a soft pink and giving definition to the landscape surrounding me. 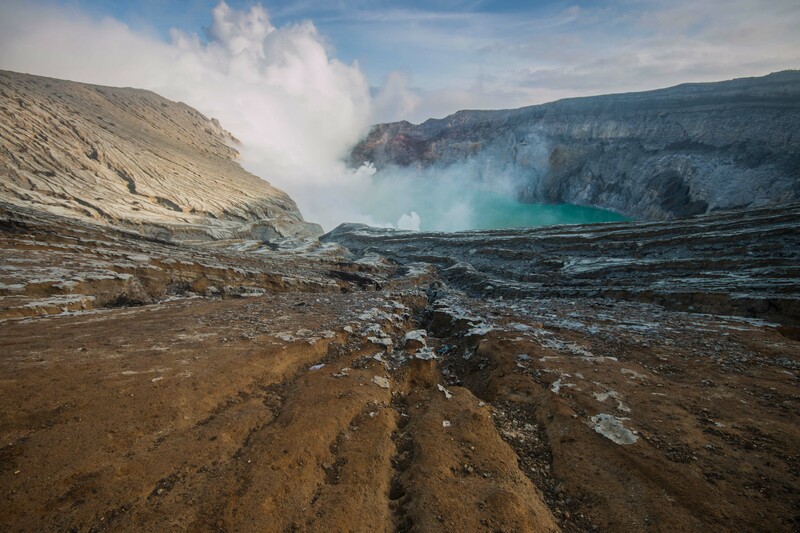 Below, the crater lake ignites an azure blue as the sun peaks over the horizon to the east and at my feet I spot a perfect pink flower growing in this most inhospitable environment. 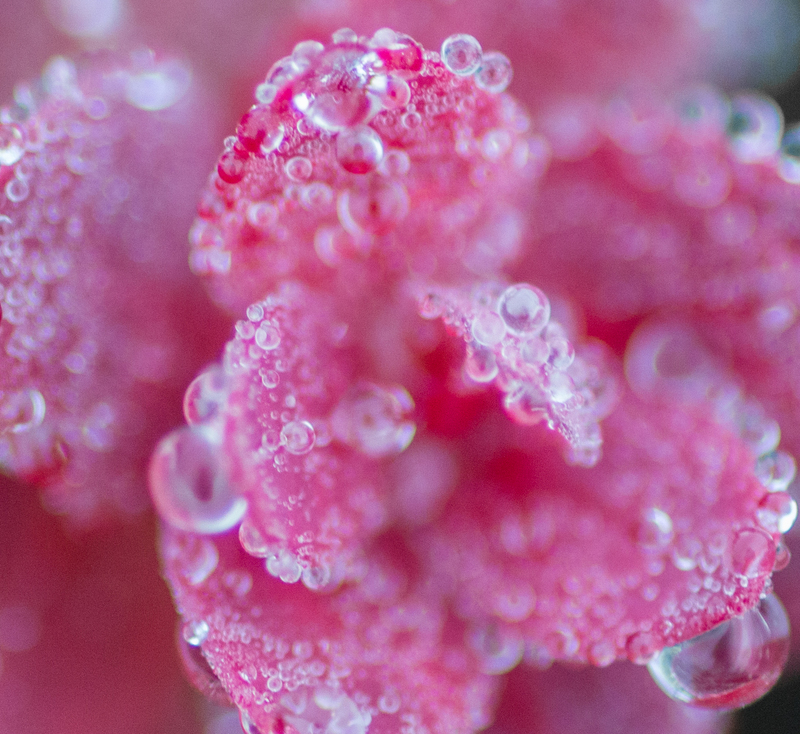 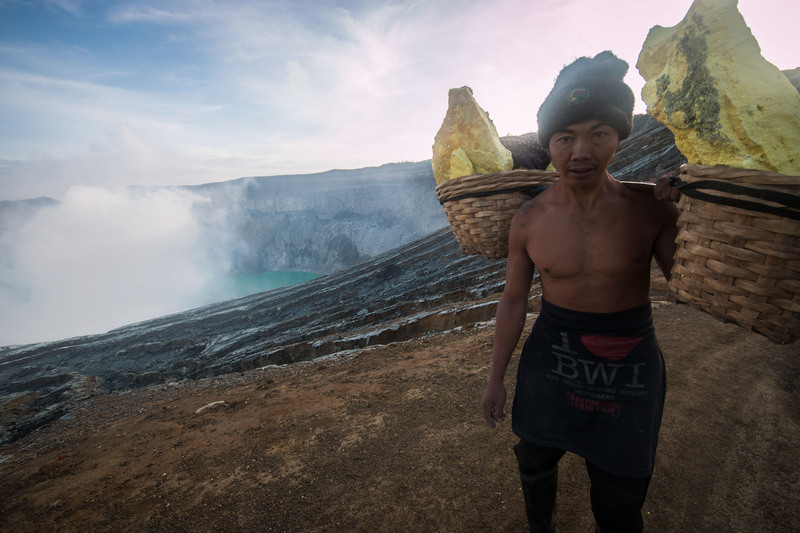 Kawah Ijen is a dramatic and striking scene – men toiling in treacherous conditions against a backdrop of natural awe. 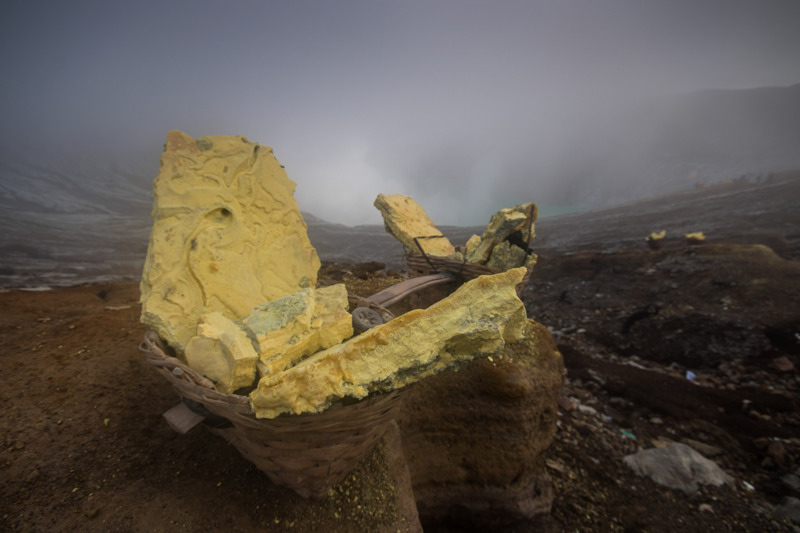 The solfatara operation runs 24 hours a day to produce a material that is used in cosmetics, fertilizers and explosives. 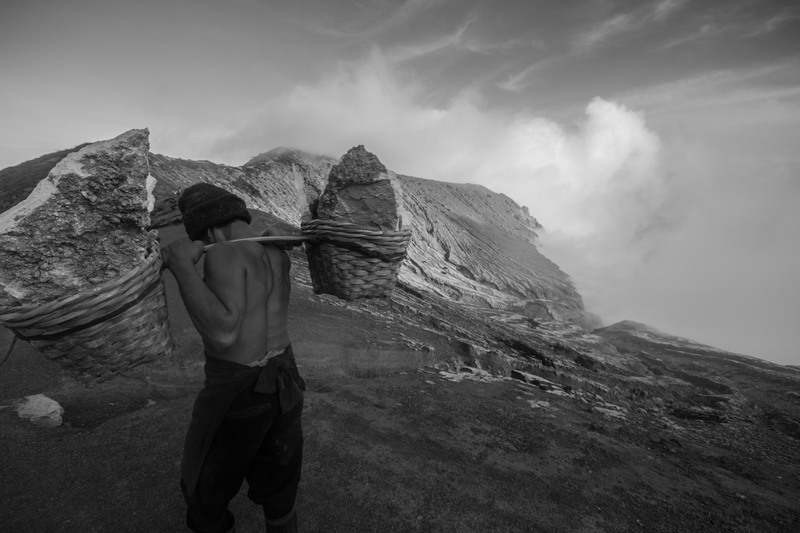 Earning $0.05 cents per kilo, it is hard to know whether the gains of sulfur mining outweigh the risks these men endure.